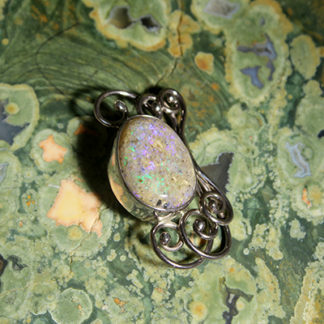 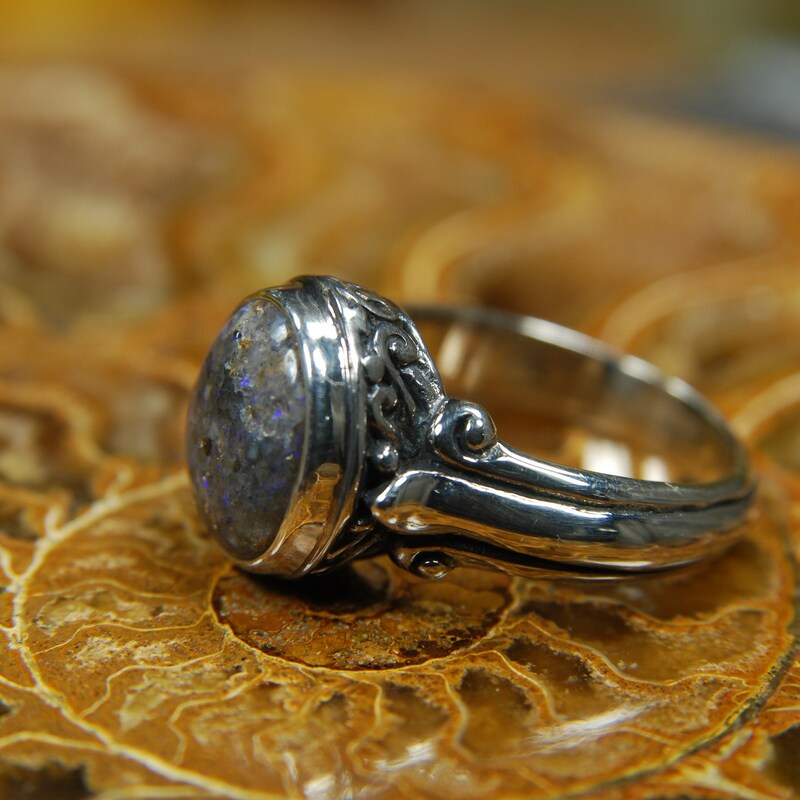 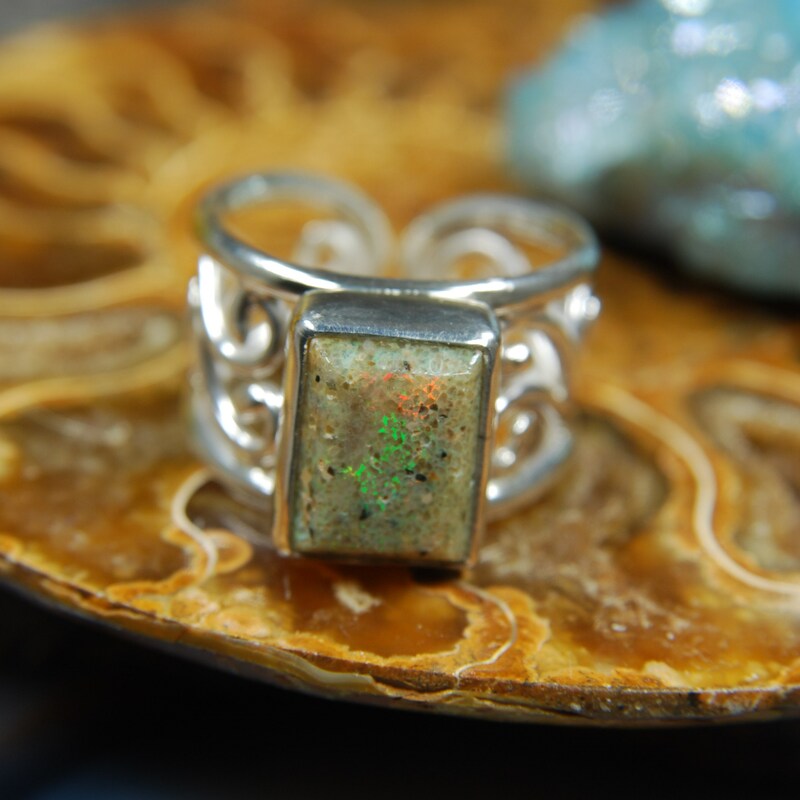 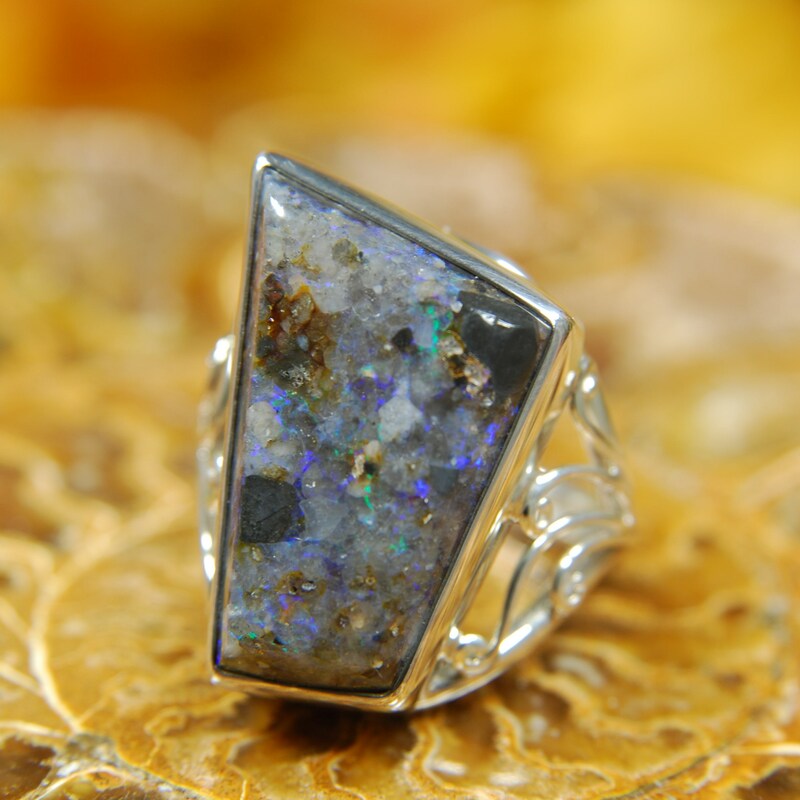 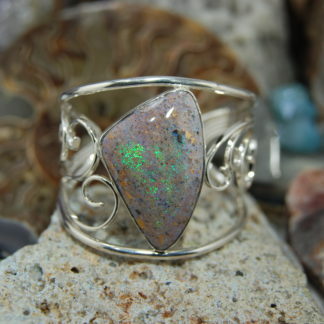 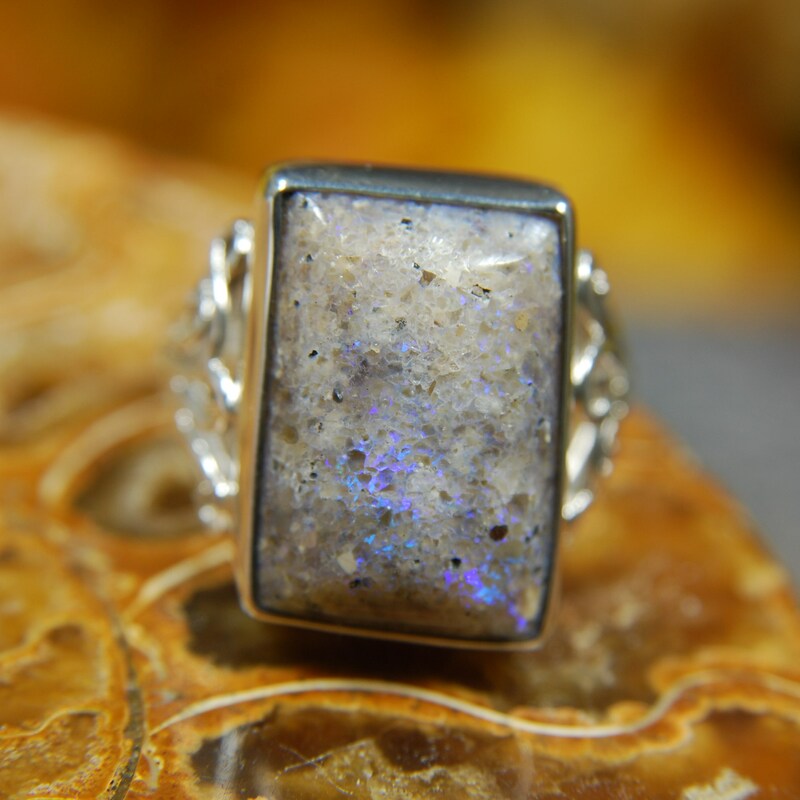 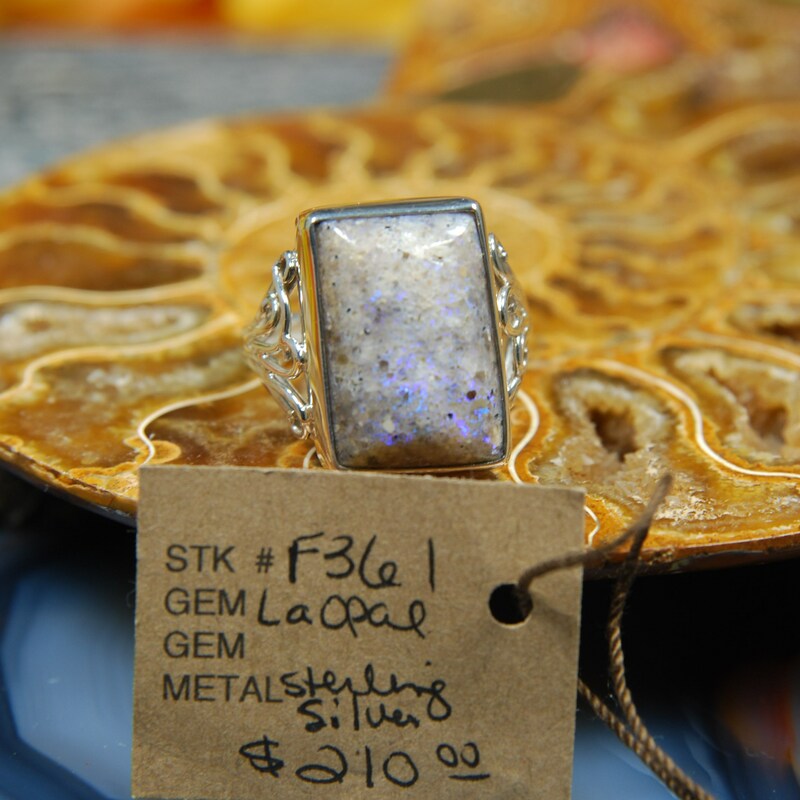 Handmade sterling silver Ring set with a light gray background base Louisiana Opal. 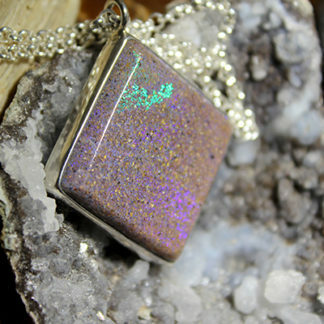 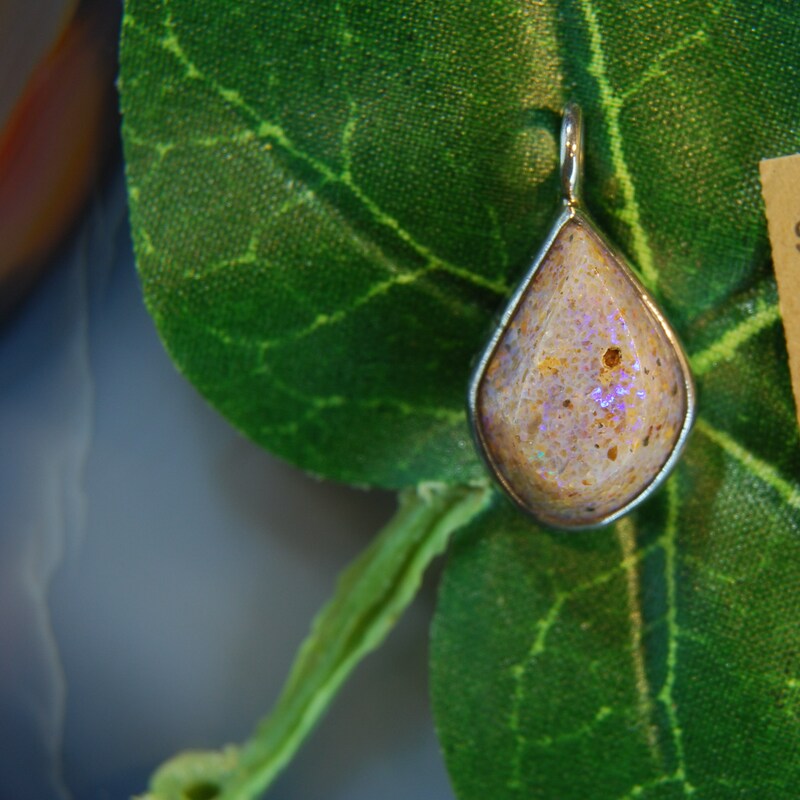 Opal has an intense iridescence blue fire. 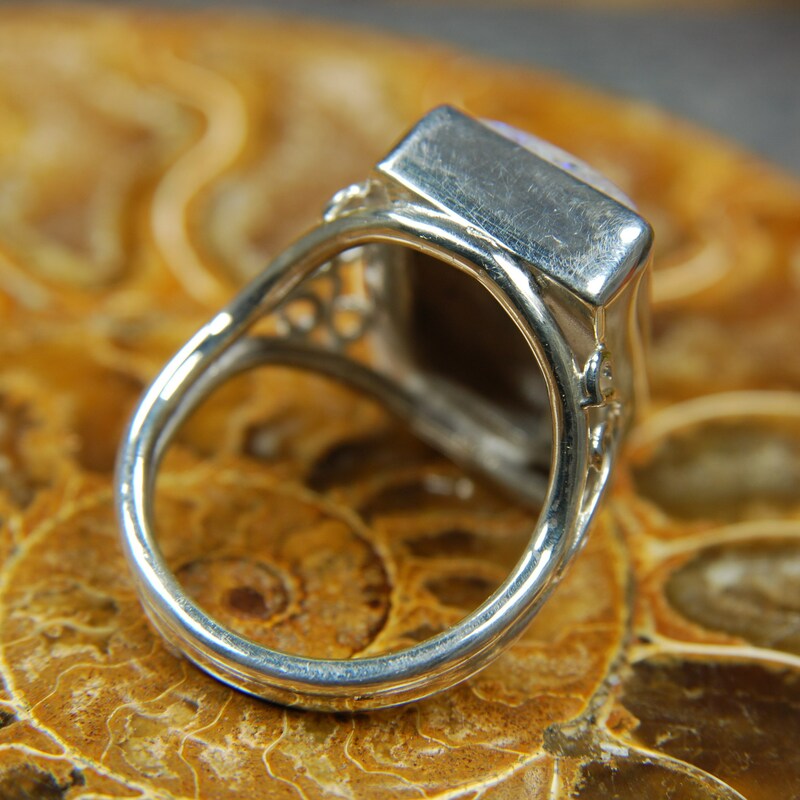 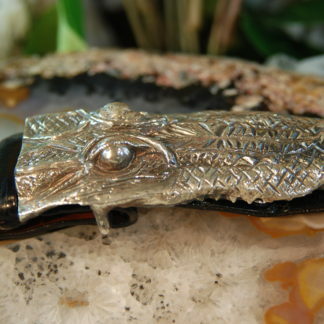 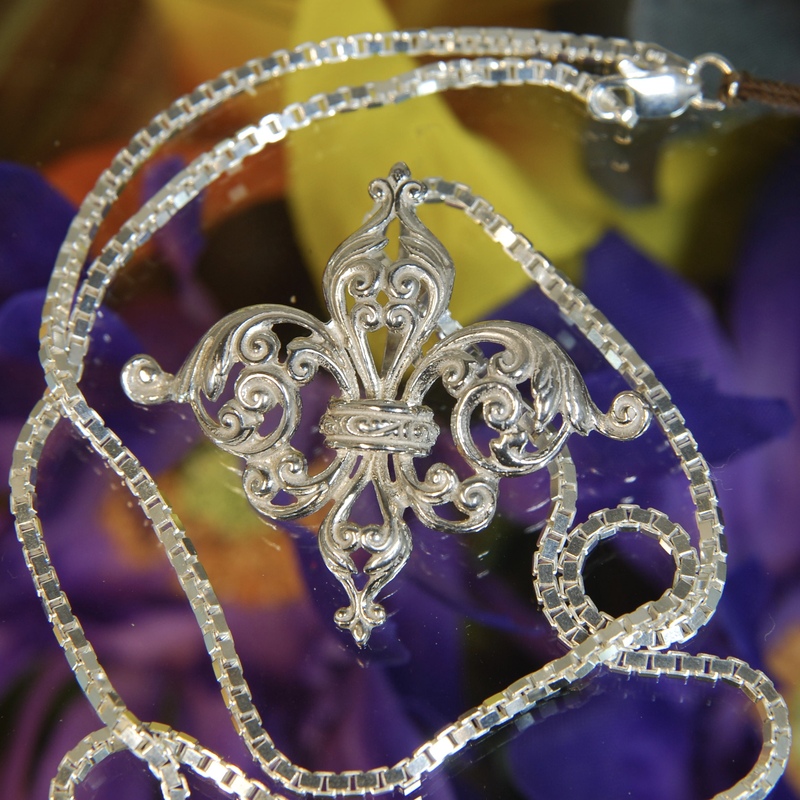 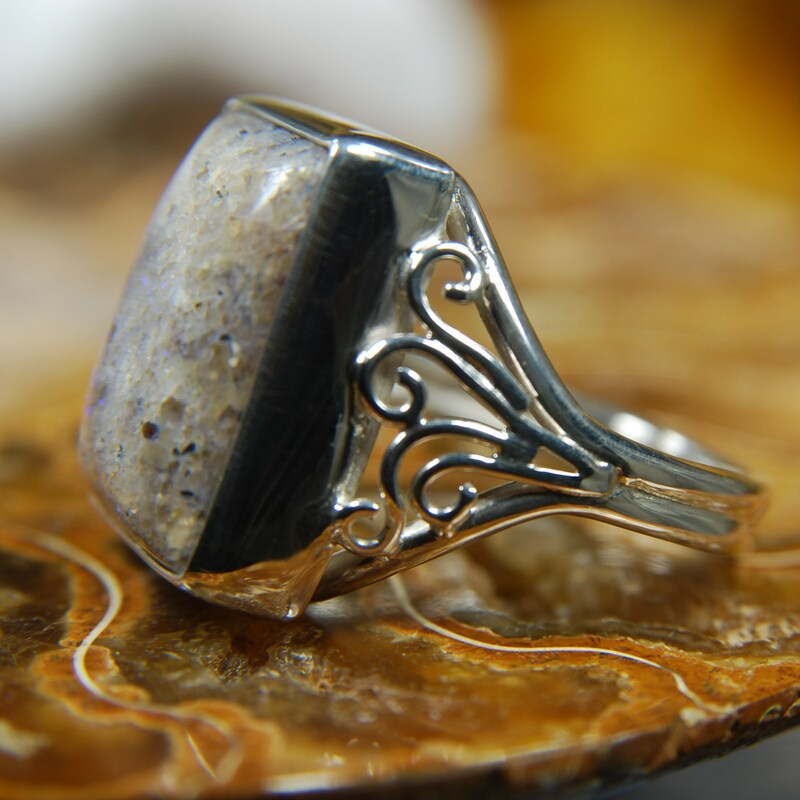 Stone is rectangular in shape set in a sterling bezel with scroll wire work on the shank. 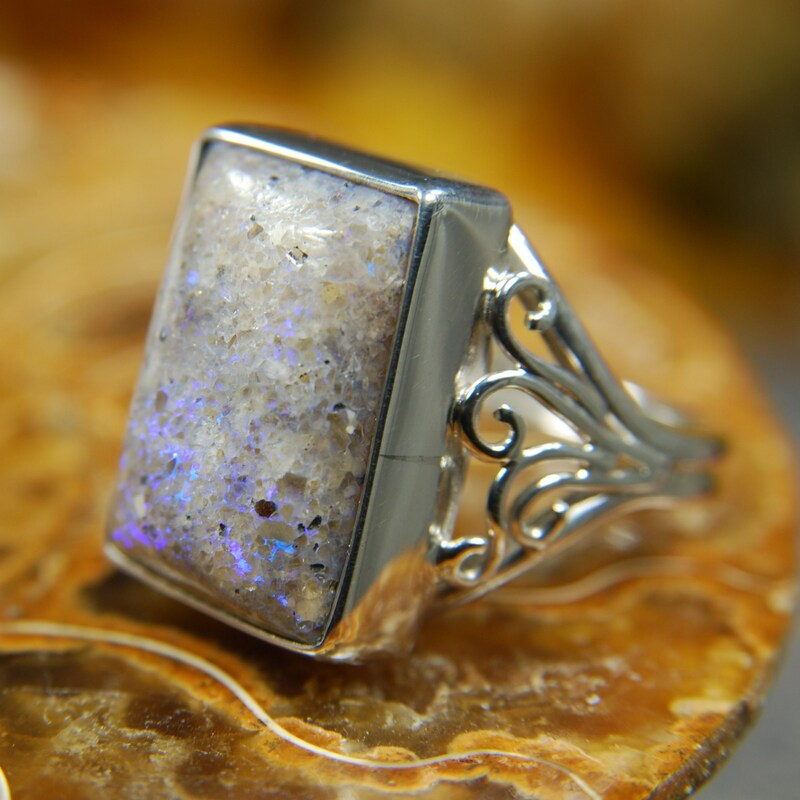 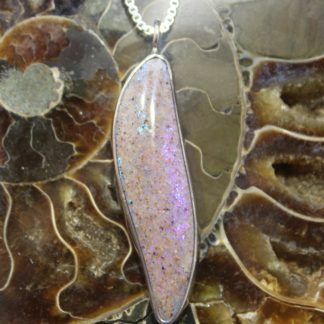 Stone size 26 X 17mm Finger size 9.